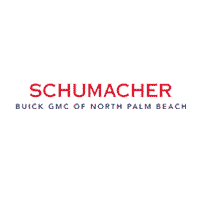 The Schumacher Family of Dealerships has proudly served the Palm Beaches for over 40 years as a highly respected, family owned business that carries some of the most popular names in the automotive industry. Collectively Buick and GMC provide a variety of cars, trucks, sport utilities and crossover vehicles that offer something for everyone in your family. The Schumacher organization strives through the hard work and sincere commitment of their team of over 350 employees to provide the best automotive shopping experience available. It is our mission to “Serve Customers for Life”. Commitment to our customers and providing quality service is evident in our world class state of the art facilities, world class products and the finest employees in the industry. Schumacher Buick opened its doors in 1971 on Okeechobee Boulevard. Richard Schumacher brought his family to the Palm Beaches after a highly successful career as a dealer in the Chicago area. He immediately embraced the community and began a philosophy of service to customers that would carry on for generations. It was not long after opening Schumacher Buick, that Richard and his team became the number one Buick dealer in the State of Florida. After his graduation from Southern Methodist University, his son Chuck returned to Florida to open and operate the highly successful, Bay view Buick in Port Richey, Florida for his family. He soon returned to run the Palm Beach store and quickly led the sales team to become the number one Buick dealer in the nation. With keen business acumen and an unrivalled reputation, Chuck continued to build the business. Chuck carried on the family tradition of ownership in 1997 when he purchased the current Northlake Boulevard location, offering GMC Truck. He added Buick to that dealership shortly after. The Schumacher Family of Dealerships employs over 350 people in the community. This award-winning team has joined Chuck in earning some of the highest honors in the automobile business. Giving back to the community is an important part of the core values of the Schumacher family. It is important to Chuck, the Schumacher Auto Group and his employees to demonstrate what a good corporate citizen and partner of the community means. In addition to financial support, the family of Schumacher employees donates hundreds of hours of volunteer time and has, over the last 37 years, partnered with many organizations in their efforts for Palm Beach County, including the Boys and Girls Clubs, Easter Seals, the Red Cross, DARE, Stop Children’s Cancer, the March of Dimes, Youth for Christ, the Gathering of Men, the Gulf Stream Council, Boy Scouts of America and Hospice of Palm Beach County.